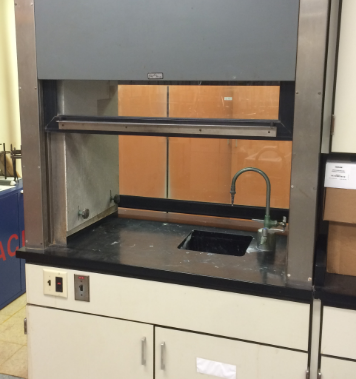 When hazardous chemicals are being used, handled, or stored, hazardous safety equipment is should be nearby. As part of a contingency plan, it is required that all staff know about the emergency procedures and safety equipment that are on site. When a third party company comes in to audit facilities, they will inspect safety equipment to assure that proper requirements and safety measures are being taken to keep the equipment ready for an emergency. One of the many fines that the EPA issues are for equipment that is not deemed adequate, and therefore could lead to potential injury, or more extensive injuries. Must be designed, manufactured and installed in such a manner that, once activated, they can be used without requiring the use of the operator’s hands. Valve must easily activate in a second or less, remain open on its own until it is intentionally turned off and be resistant to corrosion. If shut off valves are installed in the supply line for maintenance purposes, provisions must be made to prevent unauthorized shut off. If a potential for freezing exists, product specifically designed to avoid freezing should be used. Plumbed units must be activated on a weekly basis long enough to ensure that flushing fluid is provided. Self-contained and plumbed showers must maintain a minimum flushing fluid of 20 gallons per minute (GPM) at 30 pounds per square inch (PSI) for a minimum of 15 minutes. Plumbed and Self-Contained Eyewash Equipment must maintain a minimum flushing fluid of 0.4 GPM at 30 psi for 15 minutes. Eye/Face wash equipment must maintain a minimum flushing fluid of 3 GPM at 30 PSI for 15 minutes. 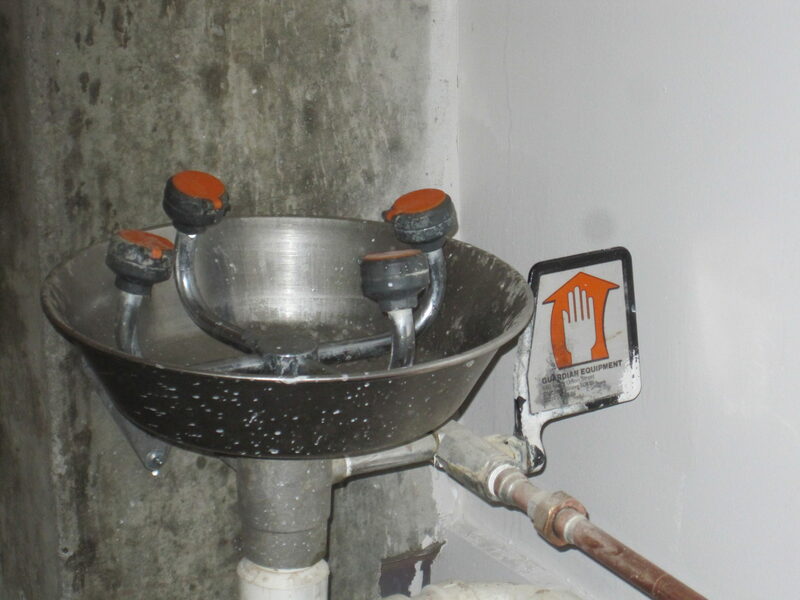 Determine that flushing fluid is tepid (between 60 – 100°F) and in circumstances where chemical reactions are accelerated by flushing fluid temperature, a facilities safety/health advisor should be consulted for the optimum temperature for each application. Airflow into the hood is not compromised by cross drafts. Airflow into the hood has a uniform inward pattern. Average velocity of air moving into the hood is within acceptable range. Assure that the locking pin is intact and the tamper seal is unbroken. 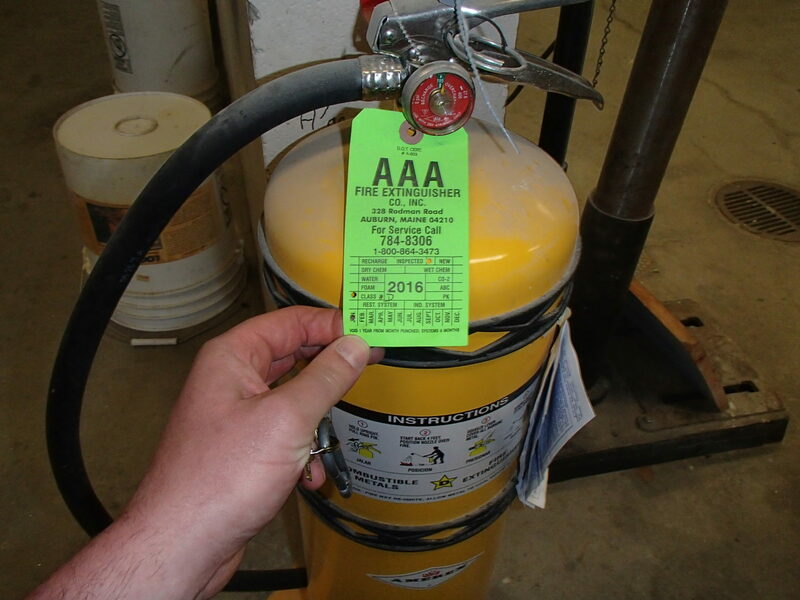 Examine the extinguisher for obvious physical damage, corrosion, leakage, or clogged nozzle. Check the pressure gauge or indicator is in the operable range or position, and lift the extinguisher to ensure it is still full. Initial and date the back of the tag. Inspecting safety equipment can become quite the task depending on your facility, especially in a school setting where safety takes precedence.